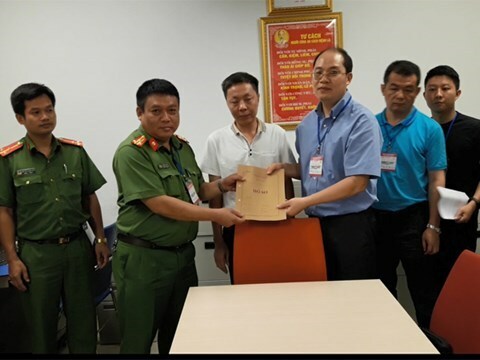 Hanoi (VNA) – The Hanoi Police on August 10 handed over Zhang Chuan Feng, from Shantou city, China’s Guangdong province, to China’s national police. Zhang Chuan Feng was hunted by Guangdong police and the China Ministry of Public Security in connection with the illegal production and distribution of registered labels. The man gave himself up to the Hanoi Police on July 31. The Hanoi Police promptly teamed up with the department for external affairs under the Vietnamese Ministry of Public Security and other concerned units to conduct necessary procedures.